“This advice can be fatal,” wrote Dr. Henry J. Heimlich to the New York Times in 1981, protesting their suggestion to pregame with peanut butter to curb overeating. “We have records of persons choking to death after eating peanut butter off a spoon. The problem is that the thick substance becomes lodged in the throat or spreads through the lungs and cannot be removed by any means.” When you eat what’s effectively legume cement with a spoon, Dr. Heimlich’s favorite maneuver may not be enough to save you. I’ve spoken of foods that threatened to kill me before, but none has toyed with my mortality more than peanut butter, though it’s typically associated not with the end, but with the beginning, with benign childhood: inside brown-bagged sandwiches, on celery sticks, etc. 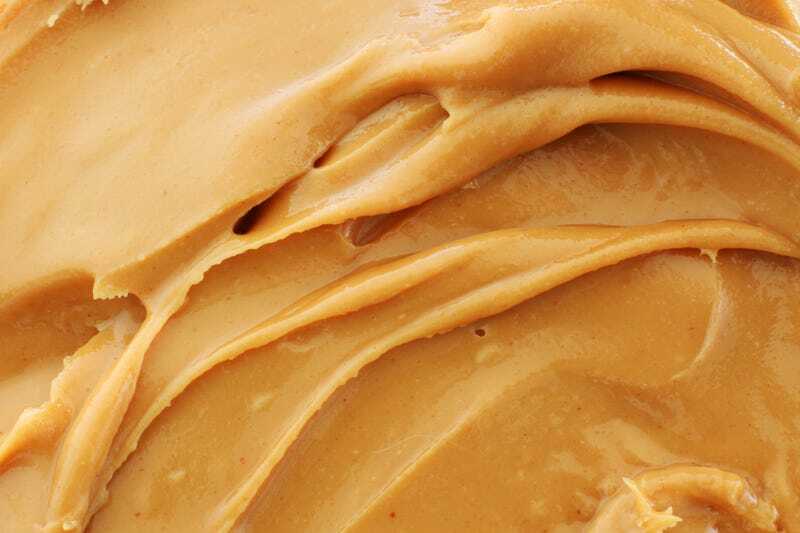 Other foods are more insidiously killing me over time, I’m sure, but peanut butter poses the most direct, blunt threat: an overzealous spoonful right out of the jar, then a few seconds of mild lightheadedness as you realize the goo isn’t going anywhere, perfectly content to stay gummed up in your esophagus, applying pressure to the trachea, thinning out your breaths. If you spoon through about 1.5 jars of peanut butter a week, delivered in reckless globs, sometimes your mind scurries off to dark fates. Is this how I get skimmed right out of the gene pool? Could this be my non-legacy? Will I live and die by this nourishing but fatal glue? No other foodstuff in my pantry could be this versatile and this essential to my survival: It’s sweet enough to fit the breakfast or dessert palate, and salty enough to suit savory cravings. You cannot pinpoint a time of day when peanut butter feels inappropriate, and even better, at each of those times, it still somehow feels like an indulgence, as you lap up the last flecks off a spoon or fingertip, the brain’s surest mechanism for mischief-eating, hearkening back to all the fudge or cookie dough or pancake batter you’re not supposed to touch. But PB is actually good for you. After a workout, I beeline for the jar: dense with calories, plus some fiber, plenty of protein and good fats, and by the dollar one of most efficient ways to sustain yourself. You can get the fancy organic kind with oil pooled on the top of a gritty paste that is identifiably peanut-borne, or the perfectly homogenous decadence of Skippy, technologically enabled luxury-smoothness that erases any memory of this “stuff coming from ground-up roasted things” business. You can go crunchy, if it’s texture you crave. For the allergic or just adventurous, there’s almond or cashew, neither one offering quite the same satisfaction, but decent approximations nonetheless. Jar-spooners like me should be careful to monitor scoop size and keep a a safety drink on hand. Non-idiots may prefer safer methods of consumption like fruit slices, burnt toast, yogurt, and so on—there are very few ways to go wrong here, very few experiments that will truly fail, including my impromptu hyper-lazy sauce that emerges from Sriracha, peanut butter, and soy sauce, good to eat with grains. It can get you through cash-thin or low-energy times, times when you don’t want to shell out for or cook up a “proper” vehicle for calories and nutrition, something closer to what’s socially recognized as “a meal.” And it’s just as good at keeping a busy person humming through their day. Maybe peanut butter sounds like a fickle god, but so long as it doesn’t kill you, it’s remarkably good at keeping you alive.